WELCOME TO THE AUSTIN ZOO! 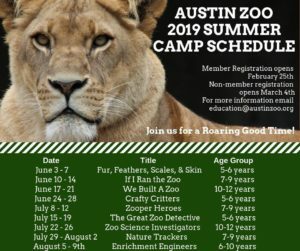 Located on the southwest edge of Austin, Texas, Austin Zoo draws visitors from around the world to learn about our rescued animals and spend quality time outdoors in the Texas Hill Country. 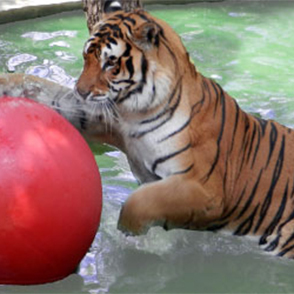 Austin Zoo is proud to be a Zoological Association of America Accredited Facility. 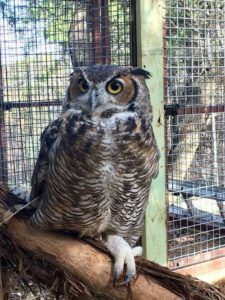 The Austin Zoo’s animal care team is composed of zookeepers, who are the primary day-to-day caregivers and habitat cleaners, and our team of veterinarians and vet techs. Each has very specific and important roles to play in ensuring our animals’ health and happiness. Our animal care policies and procedures always follow appropriate, nationally recognized standards. Our goal is not just to meet these standards but to exceed them, and get better every day. All keeper talks are weather permitting and last approximately 15 minutes. *Tortoise, Primate and Alligator Keeper Talks are held only when the temperature is at least 60 degrees Fahrenheit at noon. What started out as an enrichment activity for our primates has turned into a fundraising project for Austin Zoo! Click here to see all the available watercolors!